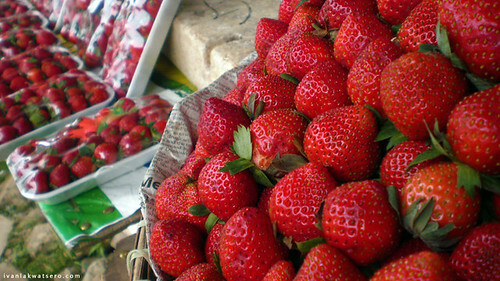 It's our last day up on the mountains of Cordillera, and we cannot afford to miss the sweet red strawberries of La Trinidad, Benguet. 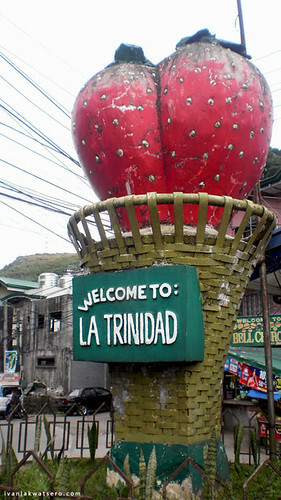 Oftentimes, people consider Baguio City synonymous to strawberries. 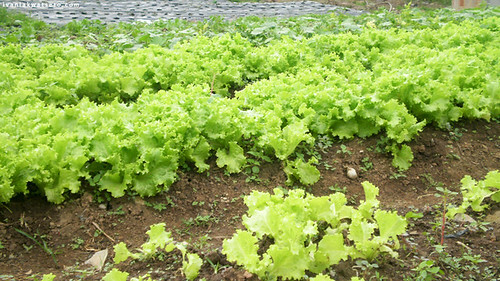 However, these small red berries are not grown in Baguio City, in fact majority of the fresh green "Baguio" vegetables found in the markets of Metro Manila are not coming from Baguio (even if they're labeled as such) but from the fields of the neighboring municipalities of the province of Benguet. 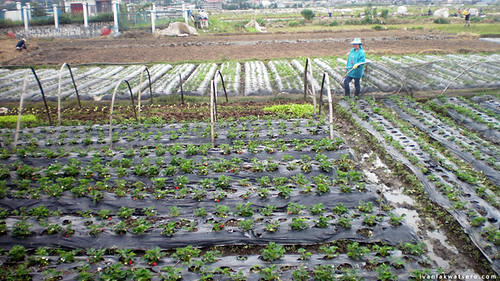 Strawberries are grown in La Trinidad, hence, Robbie and I traveled to this nearby municipality just to visit its famous strawberry farm. 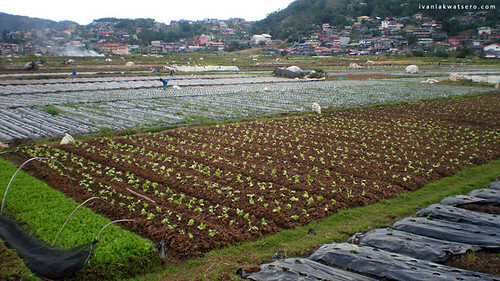 | Baguio City is not part of Benguet. 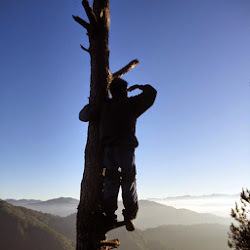 Many thinks that Baguio City is part of the jurisdiction of the Province of Benguet, but hey, this mountain city surrounded by the municipalities of the province gained its autonomy ever since it became a city in 1909. According to blogs we read last night, the jeeps the ply the La Trinidad-Baguio route were located near University of Baguio which is located just at the back of La Brea Inn where we're staying. 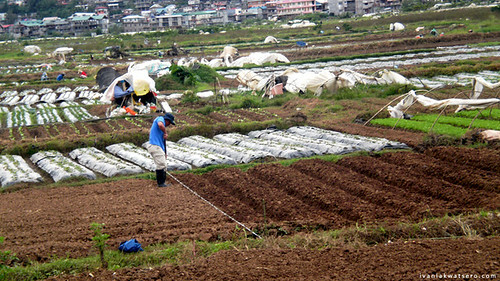 So after having an Italian breakfast (again) at Pizza Volante, we walked towards University of Baguio. But were walking for like 10 minutes already and we still can't find the La Trinidad jeeps. By around 08:00 AM, we already reached Dangwa Station and there, we finally found a jeep bound for La Trinidad. 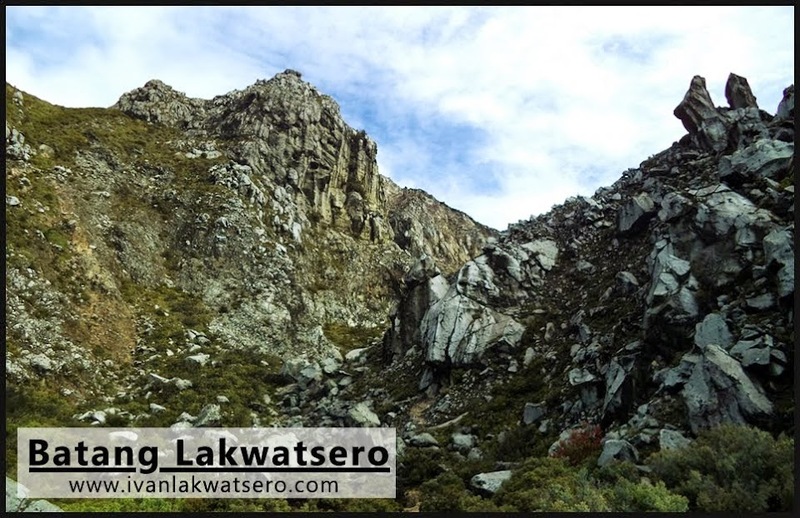 It was roughly a 30 minute ride from Baguio to La Trinidad (it think it will be faster if there's no traffic jam at the La Trinidad-Baguio border). 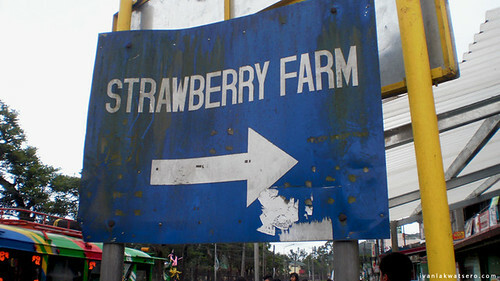 We alighted the jeep just in front of Benguet State Unniversity, and from there we walked again for 5 minutes to reach the Strawberry Farm. 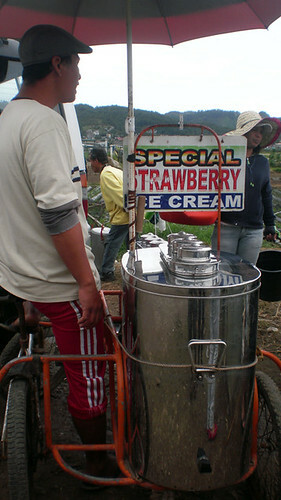 Too bad for us, it was not the peak season of strawberries (February is the start of Strawberry season in Baguio). 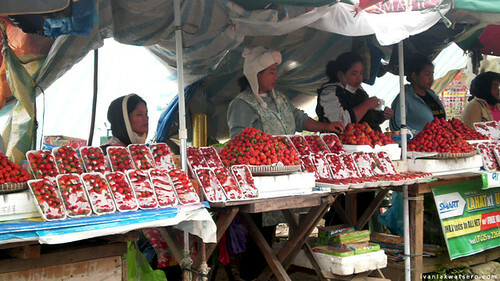 There were only a few stalls that sells strawberries by the time of our visit and they're selling it for a high price, low supply = high price. 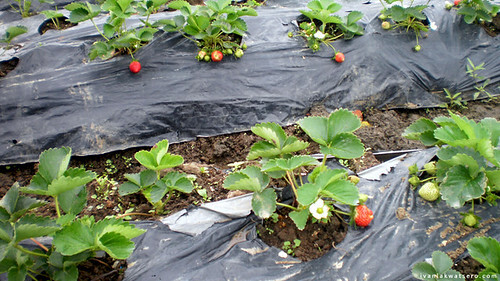 Oh yes, these strawberries will always be one of my top 10 favorite fruits. 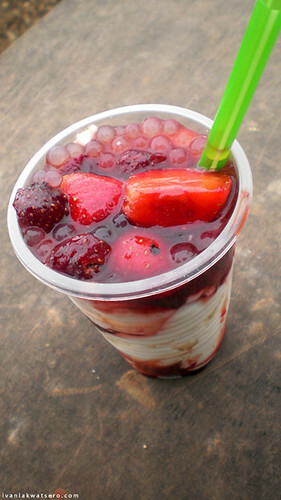 Aside from the fresh strawberries, there are also Strawberry Taho (P10) and Strawberry Ice cream (P15). 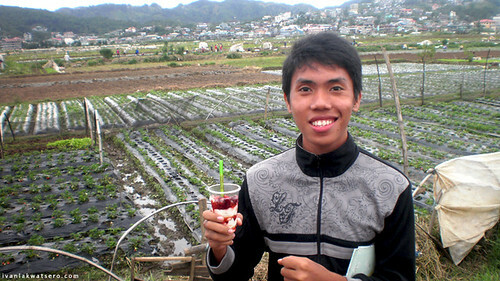 It was a sweet (literally) experience at La Trinidad Strawberry Farm,and I truly love both the strawberry taho and ice cream. We left the strawberry farm by 09:00 AM to explore more the city of pines and we need to check out at La Brea Inn before the clock strikes 12. Sayang talaga. 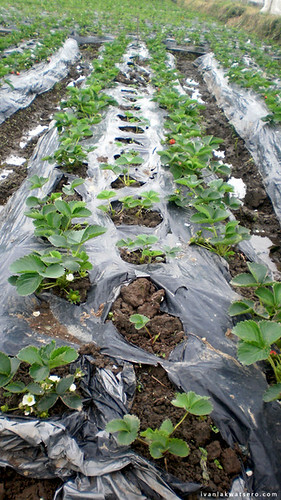 Mas maganda yung strawberry farm kapag in full bloom season na. 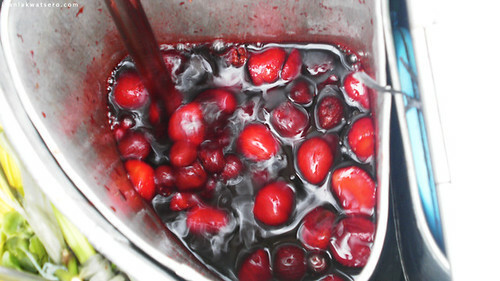 Overflowing with strawberries. 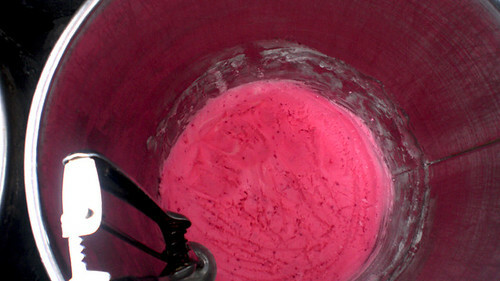 ang sarap naman ng strawberry ice cream at taho... with bits of straberries pa... yum yum! 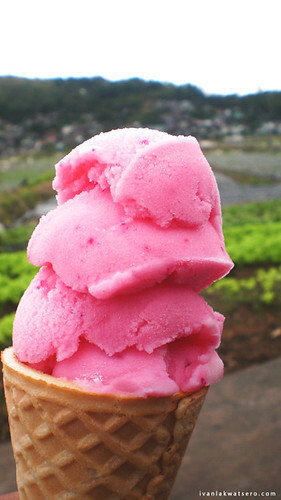 I've been meaning to go to Baguio. I hope I could visit next year. 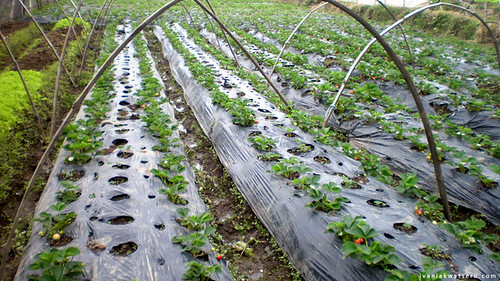 Do you think strawberries get cheaper in February?